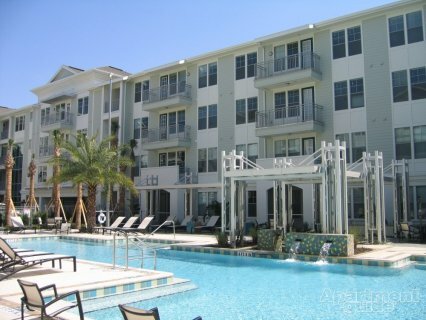 I work with all Managed and Privately Owned Condo/Apartment buildings in Downtown Orlando enjoying fantastic relationships which have been cultivated over several years. It costs you nothing for me to work as your Realtor as the properties pay my referral fee. You must call me before you visit any property so that I may accompany and represent you. Call English Mark, your Downtown Orlando Rental Specialist, on 407 625 0543 ASAP. Located on Church Street in the heart of Downtown Orlando, 55 West is the cornerstone of vibrant, urban living. This stately 32 floor high rise features 377 apartment homes. The first two floors consist of a grand lobby featuring retail and restaurants. The tower offers one of the best pool decks in downtown Orlando, aqua lounge, club room, innovative health club with yoga and fitness classes and a variety of floorplans, including lofts, studios, 1, 2, and 3 bedroom residences...each with spectacular city vistas from your floor to ceiling windows. 55 West is within walking distance of the brand new Amway Center where you can watch the Orlando Magic games and close to Orlando Regional Medical Center & Florida Hospital.